Locals, when asked about their own place, can only be of two types-- informative or the clueless. Tutubi asked his officemate about the famous Tanauan bibingka, some kind of cheese bibingka of Tanauan famous pasalubong sough after by tourists and visitors but was rather clueless. He asked another friend from Tanauan recently and pointed him to the place with pinpoint accuracy. 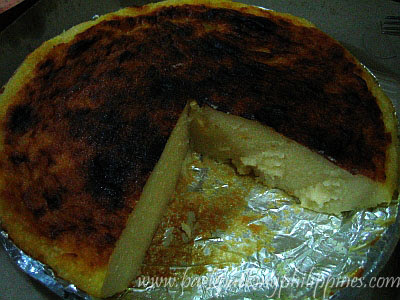 Tita's Delight Bibingka is a variant of the cheese bibingka of Tanauan, soft and fluffy, not unlike bibingka galapong. 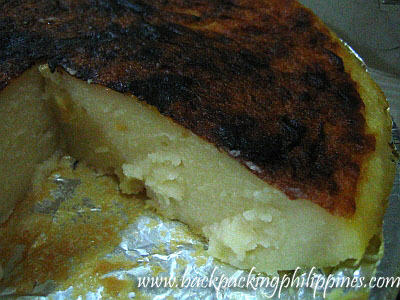 It's more of a cross between Vigan Royal Bibingka and egg pie in texture and taste. 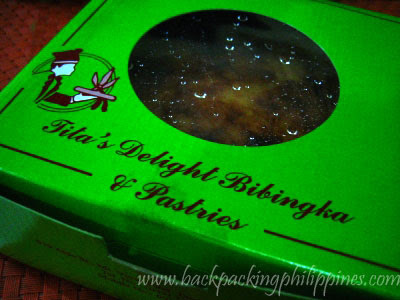 Btw, Tutubi's friend actaully lives a walking distance from Tita's Delight Bibingka and pastries shop, just at the back of Daniel Mercado Medical Center (DMMC, sarcastically called Dito Maya't-Maya Charged). It's probable that Tutubi asked the wrong question thus got the wrong answer. Asking around Tanauan City didn't do much but there's always the joy of finding something fantastic after having a hard time looking for it-- the joy of discovery! I like the information. It is really appreciable post for food lover such like me. I must try it when will be going there.